But as I was sitting in church one Sunday, the Lord made me realize that the message He’s given me is not mine. It’s His message and He just asked me to be the one to get it out to the world. It’s not about me. Therefore, I’m promoting His message and so I just need to get over any anxiety I have about it and get the job done. Imagine yourself being a flute in a symphony orchestra. No one listens to a symphony and walks away saying “that flute did an amazing job!” No. They say the flute player was outstanding or the music was beautiful. The Lord is the flute player and I’m just the instrument that desires to be used by Him for His glory. The music is the message. It’s not about the flute. Is there something on your heart that you know you’re supposed to do? Don’t hold back in fear of being seen as self-promoting. 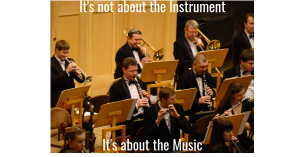 It’s not about the flute. It’s not about me. It’s not about you. It’s about the master musician and the beautiful music that the world needs to hear. Allow yourself to be used by Him. Write that book. Start that blog. Compose that song. Whatever it is get it done. I had the awesome privilege of being on my good friend and mentor Jim Cockrum’s podcast recently. Thank you, Jim, for the opportunity! Do you ever feel like you fail at goal setting? I’ve read so many books about goal setting and achieving goals, being productive and focused yet I’ve failed so many times. I find myself being busy, but not always on the most important work. I work from home and I wouldn’t change that for anything, but having a 19 month old clamoring for my attention at all times makes it challenging to get things done. Even as I write this he’s climbing all over me. Over the years I’ve set goals and failed to meet them and then felt like setting goals wasn’t for me. I will always be a student of how to be more productive because time is precious and I think setting goals is important, but I no longer let it bother me if I fall short. Because as I look back over the last 10 years of having my own business I can clearly see that I’ve progressed. Business is better than it was and I’m doing work that I love. So let me encourage you if you feel like you’ve been a failure at setting goals. Your goals can be in pencil which means they can be revised. The important thing is to write something down, take action on it, and review those goals often. If 3 months down the road you need to change the goal do it and don’t feel bad about it. Just keep moving forward. 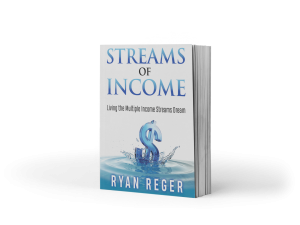 Here is a link to a Goal Setting Workbook by my friend Dan Miller – https://s3.amazonaws.com/imbucket-ryan/RyanReger.com/48Days-Goals-2019.pdf. I encourage you to go through it and fill it out. It’s really good and will help you set goals for next year. I can’t believe we’re only 6-1/2 weeks away from 2019!!! There’s something powerful that happens when you write down your dreams and goals. It’s like you become a magnet for those things. What do you want in life? Write it down. What do you want your life to look like 5 years from now? Write it down. Where do you want to travel? Write it down. What are the dreams you had when you were younger that you would still like to accomplish? Write it down. You’ll be amazed at what the practice of putting it down on paper does for you. But just don’t write it down and forget it. Maybe make a vision board with pictures. At the very least, though, look at what you’ve written down often. It will stir you up to take action toward those things. On May 29, 2012 I wrote in my journal about the amount of money we had given to our church by that time. It was quite a significant amount to us. I had also been listening to a sermon by Jerry Savelle called “Pursuing God.” In that message he references the book of Haggai. Haggai was a prophet to the Jewish nation after they returned from Babylonian captivity. At the time we were living in a 1200 sf rental home. It was the perfect place for us for 3 years, but we knew we were supposed to dream bigger. Fast forward to November of 2012 (just 6 months after my journal entry) and we found an amazing neighborhood in one of the most affluent cities in the whole country. We walked into the model home and inquired about building a house in that new neighborhood and as we expected the price was WAY more than we could afford. So we moved on. A day or two later my wife got a call from the sales manager of the builder we had talked to. She told us about a 3100 sf spec home that hadn’t been built yet, but that because it was already planned out and because the neighborhood was so new we could get in at a much more affordable price. It still felt like a stretch, but after much prayer we felt lead to buy it and it’s the home we’ve been living in for the last 5 ½ years. Had we waited even a few months longer we would not have been able to afford it at the time. We were in the right place and at the right time. I cannot emphasize enough the power of writing down your dreams and goals. Just do it and watch what happens. What does every online seller need? Well, doesn’t finding inventory sometime feel like a hustle? Wouldn’t it be awesome to have a steady, consistent stream of sales from replenishable inventory? That’s exactly what my friend Christie has and she sells almost $10,000 per month in predictable, replenishable inventory. This means Christie has more time to spend with her husband, grandkids, and working on ways to expand her business like wholesale and private label. Also, just for being on you’ll get a crazy awesome free gift! Are you going to the ASD trade show in Vegas at the end of this month? If you want to see how easy private label can be, join me! Want to join the Legends Group? With every possible business model there is and all the great courses and content, how do you do it all? You don’t. It’s so easy to get distracted by it all and being a good multi-tasker is not the answer. Your key to success in 2018 can be summed up in one little word….Focus. Rather than try to accomplish 50 things this year what are the main 3-5 things that you absolutely want to see happen? For me it’s easier to think about what I want to accomplish by April 1 rather than December 31. I tend to put off long term things and then never get around to them, but a 90 day goal is something that I can focus on. But even 90 day goals won’t happen unless you take daily action. For me I need a system to keep track of this and what I currently use is Trello (https://trello.com/) and it’s Free! I’ll do a video explaining how I use it and share it with you. I’m always looking for ways to be more productive and I’m not where I want to be yet, but I’m learning and I’ll share with you what is working right now for me. We’ve all heard that phrase, but how do you actually do it? One way is to teach something you’ve learned or a topic that you’re passionate about. Maybe you have a book inside you but aren’t sure where to start. Maybe you’re thinking that it would be awesome to get paid for some knowledge you have, but have no idea who would pay you or how to even go about it. Or maybe you’re already a coach or mentor and want to expand your reach. No matter where you are in the process, I’d like to invite you to a free webinar that Jenni Hunt and I are doing to help you explore how you can monetize your passions and talents. 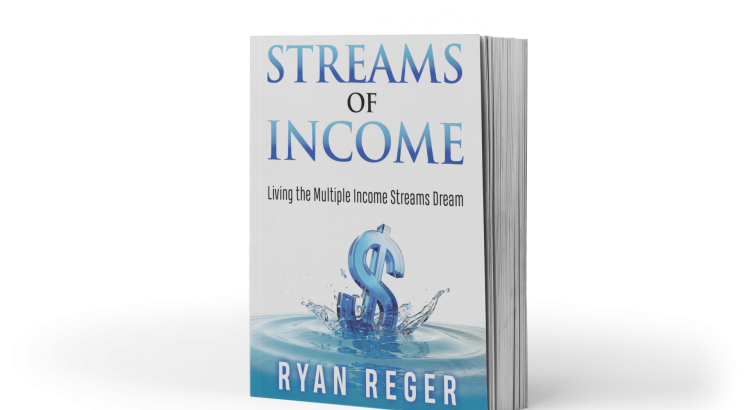 It’s this Wednesday, November 1 at 7 pm CT.
Is it Possible to Work Less and Make More? Things have gotten crazy busy around my house. My wife, Melane, and I just welcomed our first child into the world a few weeks ago. 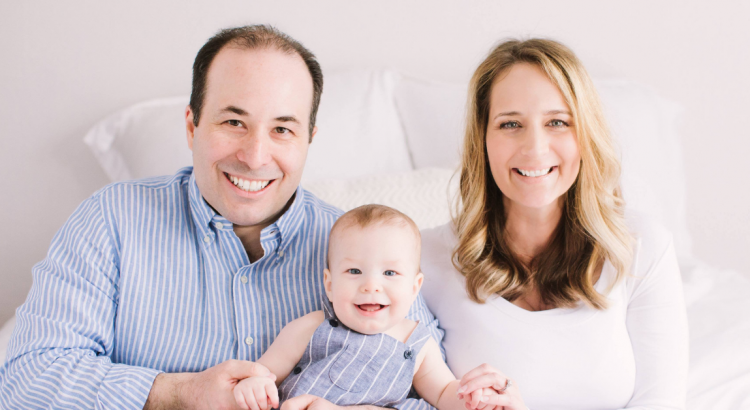 The weeks and months before our son was born were pretty intense as well – getting everything ready along with weekly doctor’s appointments. You would think that this schedule would make it impossible to move my business forward, but the truth is our business has never been better. I give God the glory for this and the key has been FOCUS. Having less time to work has caused me to really focus on the most important things in my business and those things that only I can do. The result has been the best few months our business has ever seen. The weekend is a good time to evaluate where you are in your business and what you spend your time doing. I encourage you to look at your daily activities. Are they things that are the best use of your time? If not, hire those out and focus on the items that only you can do. That’s when you’ll see a massive difference in your business.